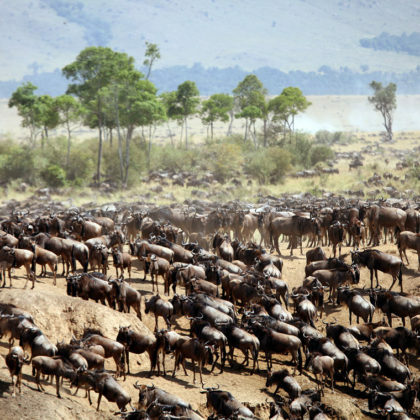 See the Great Migration of wildebeest and other antelope. 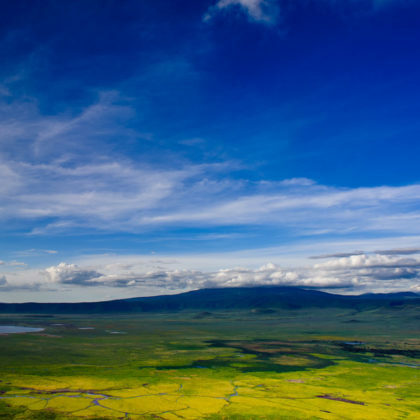 Take in the beauty and wildlife of the Ngorongoro Crater. Enjoy cycling in Hell’s Gate National Park. Meet the Hadzebe one of the last hunter gatherer tribes. 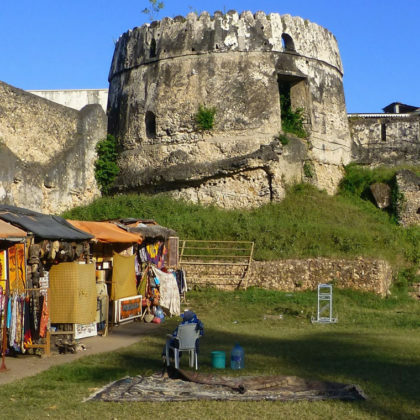 Explore the UNESCO World Heritage Site Stone Town. Go on a spice tour in the mystical island of Zanzibar. This is the morning of your arrival and you will be met at the airport and transferred to your hotel. The rest of the day is yours to relax and spend at leisure. This morning after breakfast you will visit the Sheldrick Elephant Orphanage where you will get to interact with a group of habituated African elephants. You will also visit the Karen Blixen Museum, the home of Karen Blixen who wrote Out of Africa. Then you will travel to your lodge situated in the Loita Hills near Narok in southwest Kenya. The drive is about 3 hours and is on the way to the world famous Masai Mara National Reserve. On the way you will descend the Great Rift Valley Escarpment and take in the stunning views. Nestled on a hilltop deep in Masai lands and overlooking vast savannah plains, this eco camp is a small, environmentally-sensitive retreat. Operated by Masai people from the nearby village, a stay here will immerse you not only in the intense natural beauty of the Loita Hills, but also in the ancient culture and knowledge of the Masai. 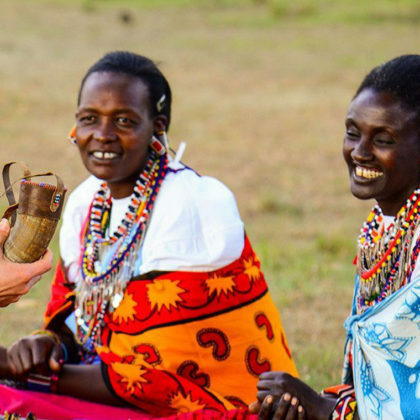 Spend the day immersing yourself in the culture of the Masai people. 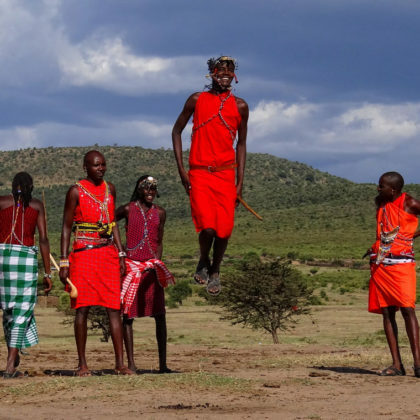 The Masai are one of the most famous tribes of East Africa with their red cloaks and colorful beads. You will learn to track animals and be taught the fundamentals of bush survival by the local people. Enjoy a visit to a traditional home and learn about their way of life. They will teach you how they use the local plants for spiritual and medicinal purposes. Delight in listening to their songs and hear their intriguing stories around the campfire in the evening. 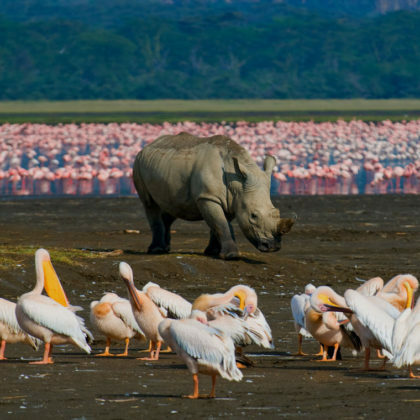 Today, you will travel to Lake Naivasha, Kenya’s second largest sweet water lake. The lake was originally home to the Masai who have been displaced by farmers and in more recent years to make way for flower and fruit farming. The lake itself is surrounded by papyrus reeds and bordered by large grassy areas with yellow fever trees. During the 30’s Lake Naivasha was in fact Nairobi international airport, during the years that the service from Cairo to Cape Town was operated with flying boats – the Naivasha country lodge was the airport hotel. These days Lake Naivasha is famous for its birdlife, including the rater goliath heron and for Crescent Island, Hell’s Gate National Park and Elsamere. A boat ride on the lake takes you to Crescent Island, one of Kenya’s best kept secrets. The Island is actually a peninsula and it is a private game park. The shores host abundant birdlife especially huge numbers of pelicans, cormorants and fish-eagles with their haunting cry. There are more animals per acre than any other Kenyan Park, hence many film companies have been to the Island to film the herds of Wildebeest, Waterbuck, Zebra and Gazelle as well as the giraffe’s and occasional buffalo. There are no large predators so, in the afternoon you will go on a guided walk to look for the abundant wildlife. 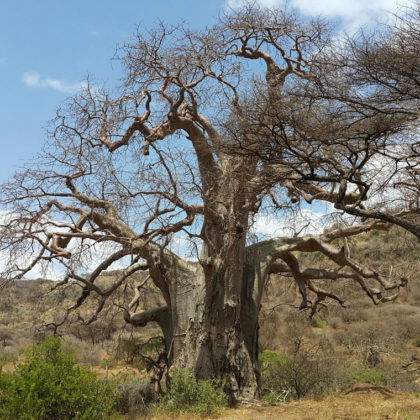 This morning you will travel to Hells Gate National Park which is named after the gorge that starts in the middle of the park and so named after Masai warriors ambushed early colonialists here. The park is a flat area with some mountains and hills sprinkled over it, a combination which ensures a beautiful landscape. It is one of the very few national parks in Kenya without predators and where you are allowed to go biking or walking. You will be dropped at the gate where you can hire bicycles and get information on routes to take. You can see a variety of antelope including giraffe and zebra. The highlands between Nakuru and Lake Victoria are home to huge tea plantations. A very profitable crop, they made Kericho one of Kenya’s richest towns during the colonial era. The Kericho Tea Hotel is a prime example of both the former colonial grandeur as well as the harder times that has befallen it. The hills with their tea plantations, rich green colors and tea-pickers neatly working in a row make for a very scenic stop and invite you to a walk between the plantations followed by a locally grown cup of tea. 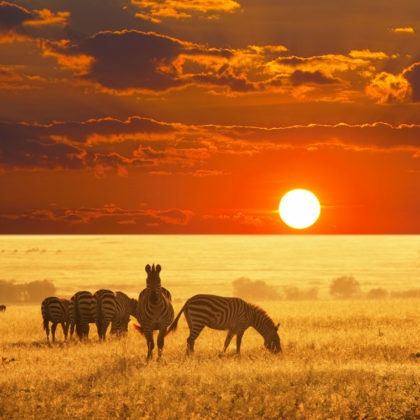 You will then travel to beautiful Lake Nakuru which is one of the sights immortalized in Disney’s ‘the Lion King’. The lake sits in the middle of a mix of open grassland and densely forest. 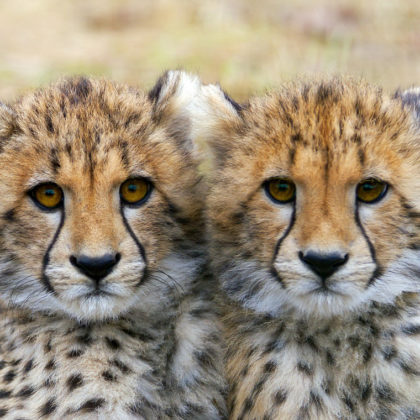 The National park is home to leopard, black and white rhino, lions, plains animals, buffalo, Rothschild’s giraffe, baboon, hippo, jackals, and striped hyenas. Its most famous feature though is the pelicans and the pink flamingoes – gigantic flocks of larger and lesser flamingoes regularly (though not always!) 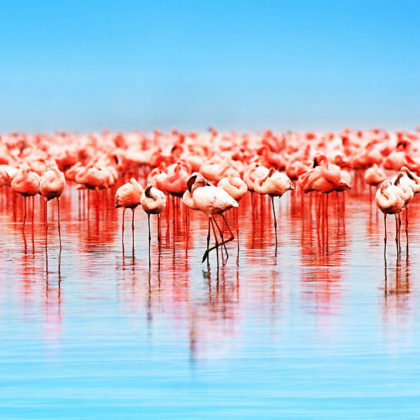 form a pink ring around the lake, comprised of tens of thousands flamingoes. Today you will travel to the Isebania border and cross into Tanzania. Then travel to Lake Victoria, Africa’s largest lake surface wise. It is a sweet water lake that used to have an incredible variety of fish species, but the introduction of the Nile perch as part of a project to increase income for local fishermen, has resulted in a huge decrease in species since the Nile perch is very fond of eating them. Fishing is still a very important source of income and you’ll regularly see fishing canoes, often colorful, going out on the lake. You will have the afternoon at leisure to relax and take in the beautiful views of the lake. 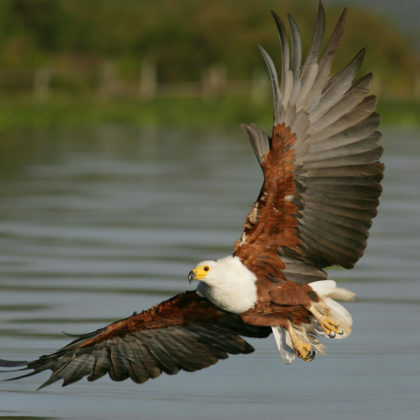 This morning you will enjoy a morning boat ride on Lake Victoria to see the many species of birds which are attracted to the Lake. 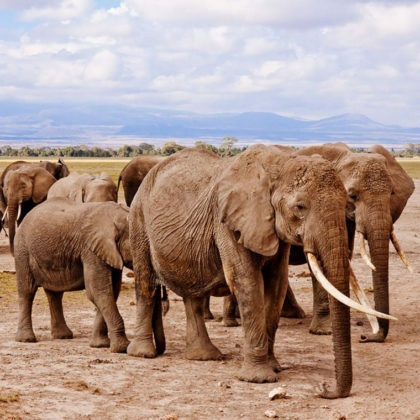 You will then travel to the iconic Serengeti National Park which together with the Masai Mara in Kenya and the Ngorongoro Conservation Area forms an area with the largest concentration of wildlife in Africa. This is your archetypical savannah where huge herds of animals roam and lion, leopard and cheetah hunt. In East Africa you see the savannah species in huge numbers, in southern Africa you find more different species but in lower numbers. 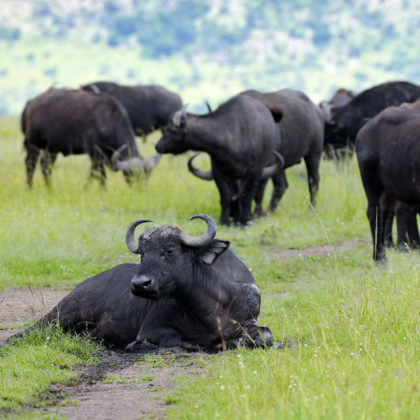 Spend the day on morning and afternoon game drives exploring the plains of the Serengeti. 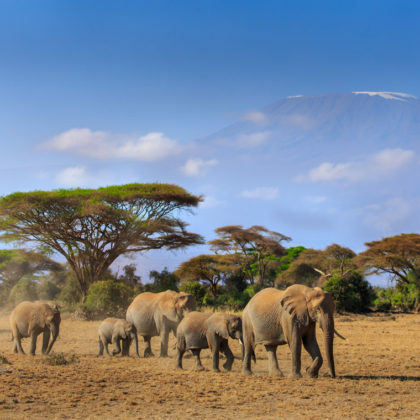 One of the most famous happenings in the three parks is the “Great Migration” or “Serengeti Migration” of millions of animals – one the last remaining wildlife spectacles on our planet. At certain times of the year it is possible to view the migration right from your accommodation – though this cannot be guaranteed because the animals move with the rains and these can be one month earlier or later than the ‘regular’ season. But whenever you go, you’ll always see lots of animals in the Serengeti! The animals migrating are wildebeest and zebra, often accompanied by Thompson gazelle. All the other animals – like lion, cheetah, buffalo, giraffe, impala, rhino, hyena, jackal, topi etc. are territorial and do not migrate, but stay in their territory the whole year round. In the middle of the plains you’ll find the actual crater itself. 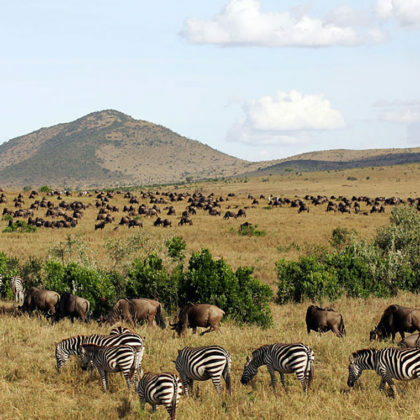 The outside slopes are mostly grassland where you’ll encounter Masai and their villages. The inside slopes are steep and densely forested, while the floor is mostly savannah. The crater is 19 km in diameter (300 km²) and is very fertile – there is lots of food to sustain a vast number of animals. This amount of animals living in the crater is a photographers dream – nowhere in the world will you find so many different animals in such a small space. Animals are used to visitors and therefore not afraid of vehicles, so you can approach them closely. The relatively small size of the crater is also reason why the entrance and exit of the crater are one-way and why you are allowed half a day for your visit – which is plenty of time to cover the crater and the animals living there. Once you are back on the crater rim it is an hour’s drive to Karatu where the tarred road to Arusha starts. Today, you will have a busy day taking in some of the highlights of the Ngorongoro Crater. Lying halfway between Arusha and the Ngorongoro Crater lies the Lake Manyara National Park. This is a shallow soda lake surrounded by savannah and forest decribed by Hemmingway as one of the most beautiful sights he had seen in Africa. You will have one last early morning game drive before leaving for the airport where you will catch your flight to Zanzibar. 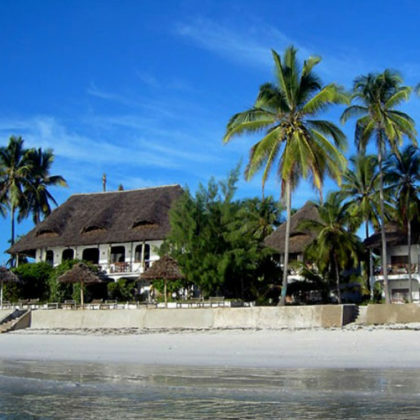 Zanzibar is not just the island Zanzibar itself, but a small archipelago made up of Zanzibar and Pemba Islands and several islets. 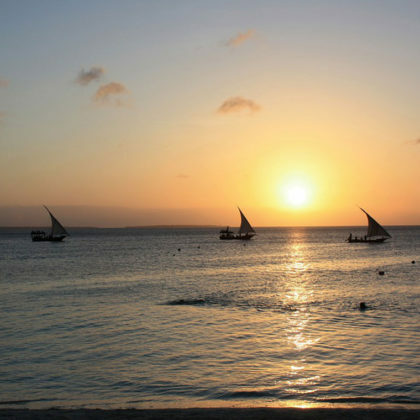 It is characterized by beautiful sandy beaches with fringing coral reefs on the East side, a fertile interior where palms and spices are grown and the magic of historic Stone Town – said to be the only functioning ancient town in East Africa. Zanzibar is a separate political region with its own parliament. Zanzibar has always been an important trade location for spices. 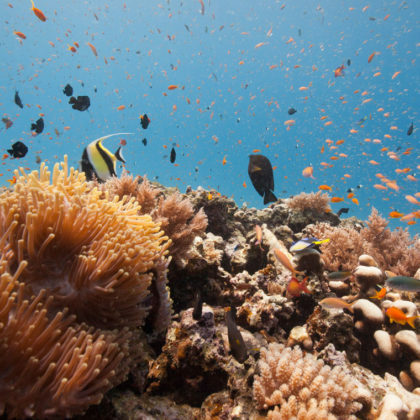 Its location in the India Ocean was deemed ideal for the spice trade worldwide. The trade in spices between India, the Middle East, Africa and Europe became even more important to the economy of Zanzibar after the slave trade was made illegal. 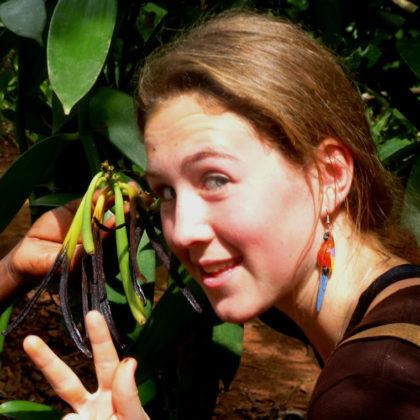 Your spice tour will give you the chance to visit one or more spice farms growing a variety of key spices to Zanzibar such as Cloves, Chili, Nutmeg, Cinnamon, Pepper, and Vanilla. You will learn about the uses of the different spices, their history on the island, how they grow and best of all be able to taste them. If you wish you will also be able to buy them direct from the farms. 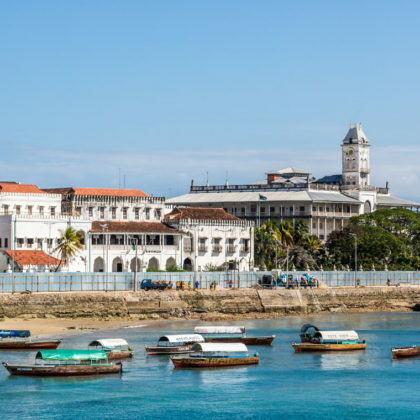 This morning you will go on a tour of Stonetown, an ancient city which is the cultural heart of Zanzibar where little changed in the last 200 years. It is a place of winding alleys, bustling bazaars, mosques and grand Arab houses whose original owners vied with each other over the extravagance of their dwellings. You can spend many idle hours and days just wandering through the fascinating labyrinth of narrow streets and alleyways. Stone Town is deservedly a UNESCO World Heritage Site. As you walk through the town, please remember that Stone Town is very much a real community, where real people live and work. It is not a museum piece or theme park created for tourists, and sensitivity should be shown to the local people. This is the perfect place to relax, soak up the sun and take a break from some busy sightseeing. 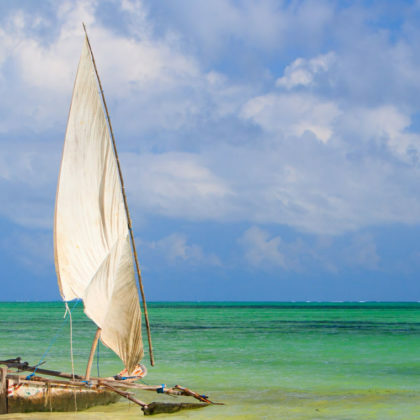 The beaches in Zanzibar are a paradise, interspersed with picturesque fishing villages, where the people live a simple way of life, unchanged over the years. The best beaches are along the east coast. At the northern tip of the island is Nungwi, approached by a road lined by banana palms, mangroves and coconut trees. This is the dhow building capital of Zanzibar Island, so it is a good place to see traditional craftsmen at work. 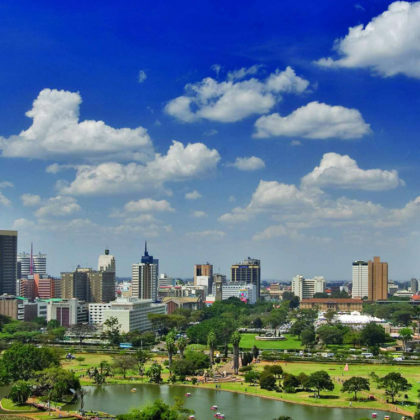 This is the last morning of your Kenya and Tanzania Combination Package. After a leisurely breakfast, you will travel to the airport and catch your flight home.